Rest has been the order of the week. It is always something I struggle to maintain enough of. When, sometime around the late 1980’s, I worked out that I wasn’t going to be the next Fignon/Kelly/Ovett/Coe, that gentle balance of Family/work/racing began, mostly and rightly in that order, although sometimes all three at the same time! Rest & recovery though, I have found harder as I have got older, and my worries about still being competitive in the 3 Peaks is why I have dithered this year. It is a race, and should be treated as such. Last week I got a 3rd place (V50) in a pretty hilly league cyclocross, this week 7th in a flattish/fast one, so condition is good speed wise, I know I haven’t done enough carrying work though, and that, in the past, has always been an area of strength. I can hold my own on the descents, but could be faster. 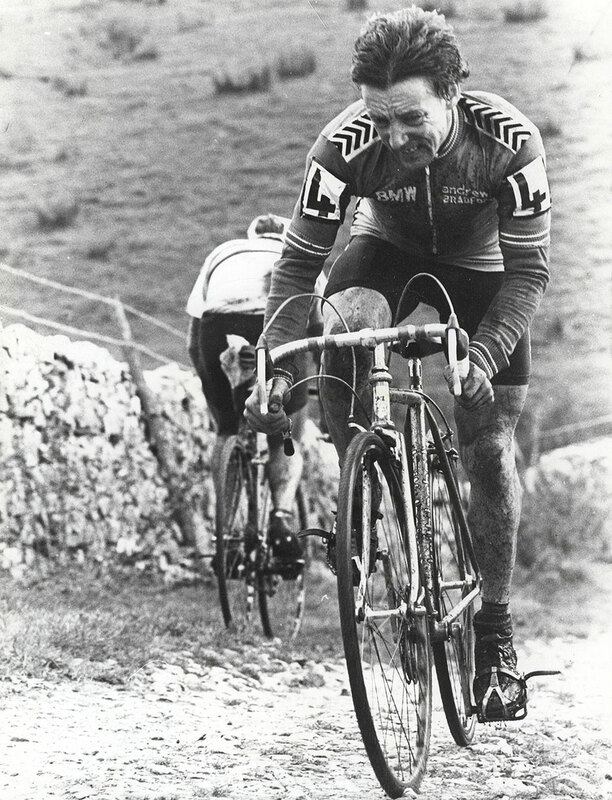 One look at my old mate Ian Taylor a couple of years back – descending Pen-Y-Ghent on two flat tyres – put mine in perspective! With me, fatigue = loss of concentration = dodgy descending (I have the scars!). The bike is good, I fitted ‘chicken levers’ this week (cane creek cross top), which help a fair bit, especially in providing a more back-friendly position at times! I did try to borrow a disc-braked cross bike for the race, but that hasn’t materialised, so cantis it is. 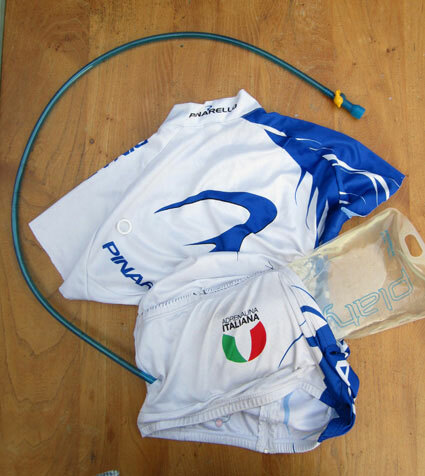 I am hoping to be able to grab bottles from a few friends around the course, but I also have an under-jersey which I have adapted to fit a hydration pack in the back pockets. It’s very Heath Robinson, but works perfectly as it doesn’t slap about or ride forward like a rucksac hydration pack (also providing a bit of padding from my shouldered bike). www.fluentincross.co.uk and I wish the best of luck to all competitors on Sunday. Part 5 – the debrief?